The Semacon S-1200 Premium Bank Grade Currency Counter with Batching saves time and money. 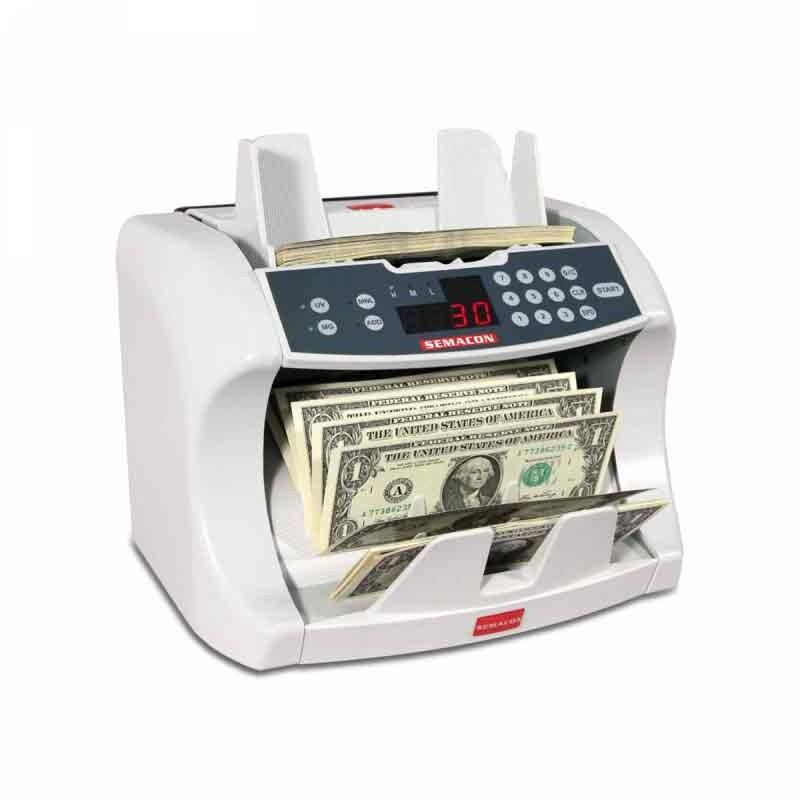 The Semacon S-1200 Series Bank Grade Currency Counters are designed with Semacon's SmartFeed technology for high volume applications and are used by banks, credit unions, casinos, large retailers and other industries all over the world. 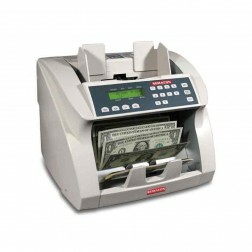 Our unique SmartCount technology ensures the most accurate counts available in a desktop currency counter. These counters feature heavy duty construction, operational flexibility and ease of use. The series offers optional ultraviolet (UV) and magnetic (MG) counterfeit detection.